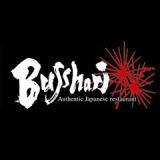 Busshari, in Potts Point, Sydney, serves authentic and delicious Japanese cuisine. They are open for both lunch and dinner Monday through to Saturday. True to what makes authentic Japanese cuisine what it is, Busshari consistently delivers fresh produce, creativity, simplicity and one of a kind flavour in all of their dishes. Executive chef Nobuyuki Ito takes the classics and fuses the favourite flavours- creating unique, yet still authentic and delicious flavours, exclusive to Busshari. All dishes pair perfectly with their selection of wines or sake- or if you have an all-time-favourite you just can’t do without, BYO at $9 a bottle. Having opened in 2006, Busshari has an impressive 11 years experience to boast. This experience evident in their expertise in signature Japanese dishes including sashimi, sushi, oysters and tempura. Years in the industry also radiates through the warmth, friendliness and helpful nature of the experienced staff. They add an extra facet to the already impressive dining experience, with a dedication to making your time at Busshari memorable. Busharri’s interior is a feature that definitely deserves mention. Dimly lit by lantern lighting, the dining space is given a stylish, sophisticated and slightly moody ambience- accented by matte black walls, Tasmanian oak tables and smoky mirrors. This makes for a relaxed yet trendy environment that invites you to hang out, chat, eat, drink and feel at home. Come see the experienced team at Busshari for impressive service and authentic Japanese cuisine with a fresh twist.